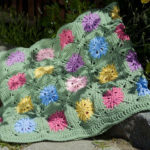 Your garden isn’t the only place where flowers can bloom—bring them into your home decor by working up a crochet blanket pattern ! 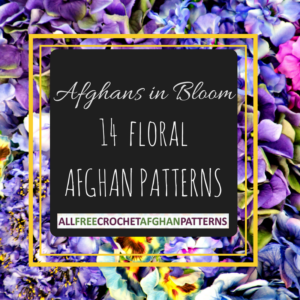 The free crochet patterns in Afghans in Bloom: 14 Floral Afghan Patterns  will help you embrace your inner flower child and create dazzlingly colorful and chic afghans. You can have your own botanical garden if you decide to work up more than one of these designs, which feature everything from daisies and pansies to roses and more. When I first moved away from home, the understandable wave of homesickness hit me before my parents even left the driveway. Looking around my tiny, one-bedroom apartment and feeling like I had just been jettisoned to the moon, I immediately felt better after spotting the afghan pattern my grandma had given me before I left. Having that little piece of home in a new place made me feel like I had a lifeline connecting me to my family. You simply cannot beat the personal, loving touch of a handmade blanket. Incorporating a little flower crochet  into your life will do the same thing for you, keeping you feeling a little brighter, fresher, and more invigorated to tackle the world. 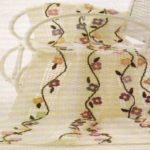 Whether you are looking for elegant and refined designs or edgy and modern crochet patterns , there will be something here just waiting to bloom from your hooks.